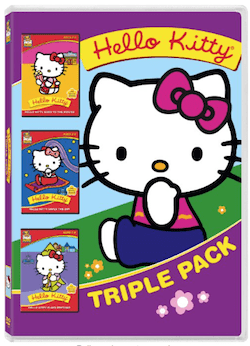 The Hello Kitty Triple Pack DVD is on sale right now for $4.99 at Amazon. That's 75% off the list price of $19.98! 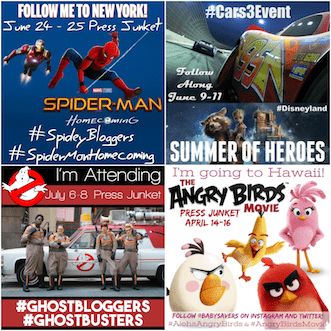 Movie Synopsis: Hello Kitty Goes to the Movies: Lights! Camera! Action! Get ready for big-screen fun with Hello Kitty and her friends! Hello Kitty Saves the Day: Journey to magical lands full of adventure as Hello Kitty and her friends save the day! Hello Kitty Plays Pretend: Join Hello Kitty as she and her friends find themselves in some hilarious and fun-tastical adventures!